If you’ve ever heard of Lush (of course you have!) you’ve probably heard of Dragon’s Egg at least once! Everybody always goes on about how amazing it is but believe it or not we hadn’t used it before. A few months ago we decided to purchase one each and see what all the fuss is about! Dragon’s Egg is priced at £3.50 and has a design that reminds us of gobstopper. It contains both Lemon and Bergamot oil which gives it a strong citrus scent that smells like Sherbet Lemons! 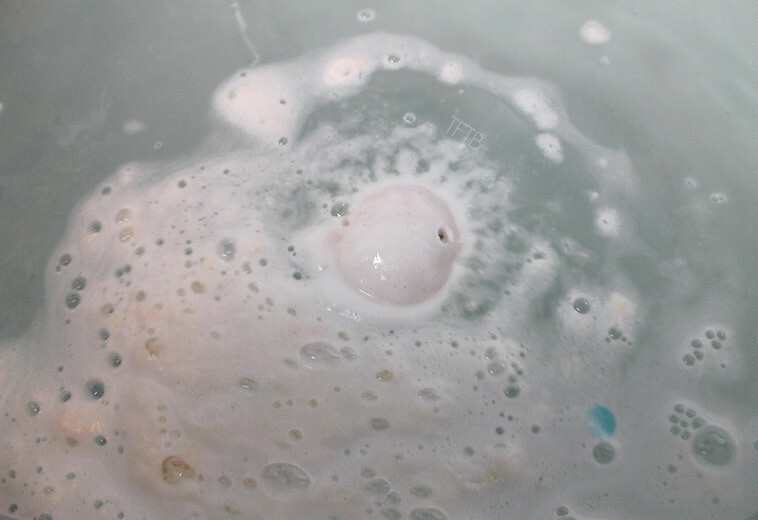 The second you pop Dragon’s Egg in the bath it starts foaming slowly and creates a layer of velvety foam. 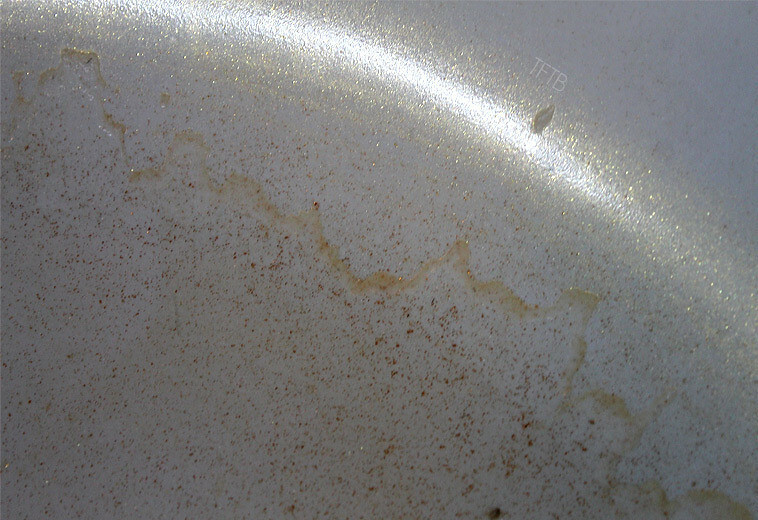 At this point it isn’t too exciting to look at, but soon after little bits of rice paper float out, leaving small traces of colour and making the water even softer! Now this is the exciting part! 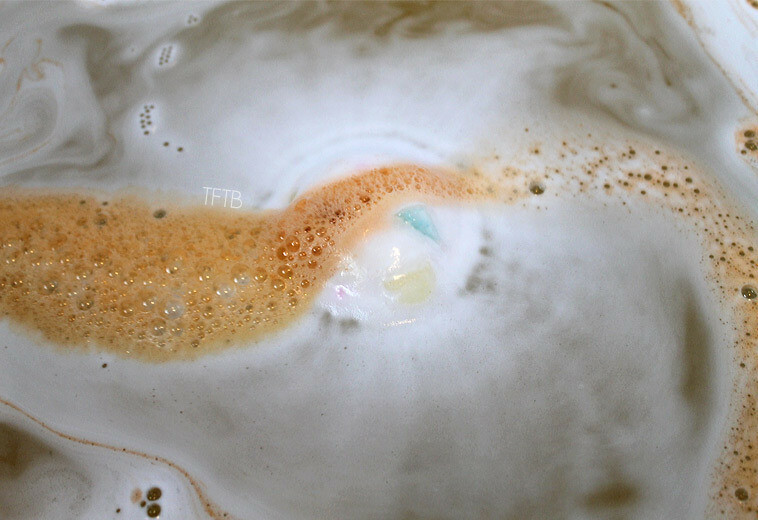 After a little while gold foam and glitter start to come out from inside the bath bomb. Just look how calming and pretty it looks! There is also popping candy inside which is another great touch as it adds to the excitement. 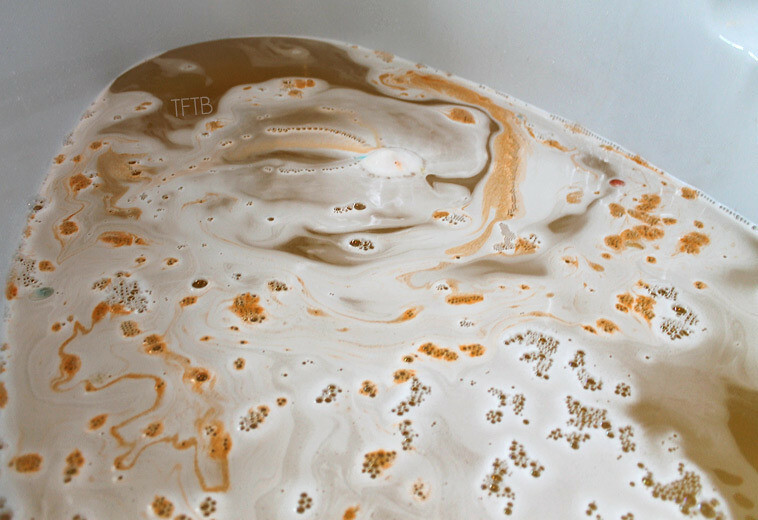 The end result is that your bath is left with amazing swirls of white foam and yellow/orange glittery water. 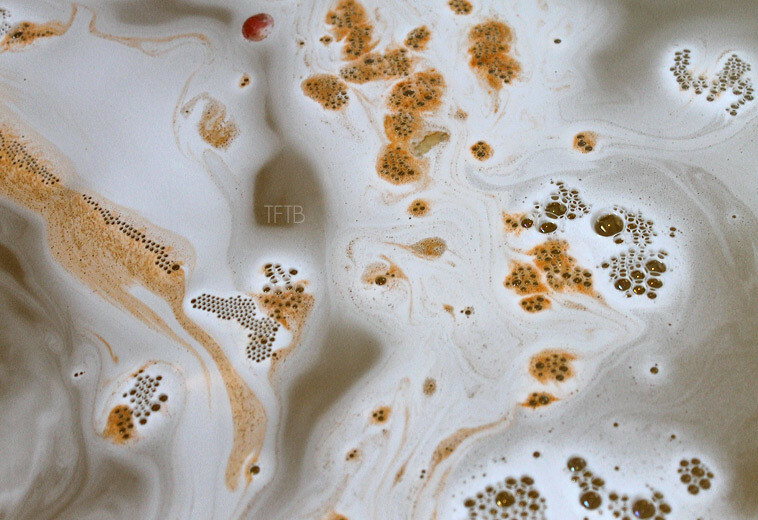 It’s like artwork in your bath tub! The bomb does take a while to fully dissolve but that’s nothing to complain about as it’s so exciting to look at! We each came out of our baths feeling like a sparkly Mother of Dragons (did you get the Game of Thrones reference?!). The scent stays on your skin for hours and leaves an amazing sweet but fruity scent on your body. One thing a lot of people may not be keen on is the state of the bath after. Here’s where all the glitter goes when the water goes down the plug hole! We wish our bath could be this sparkly all the time, look how cute it looks! There is a quick fix though, we used our shower to wash the bath out and it took seconds to wash away. We think it’s now clear why everyone loves Dragon’s Egg so much! 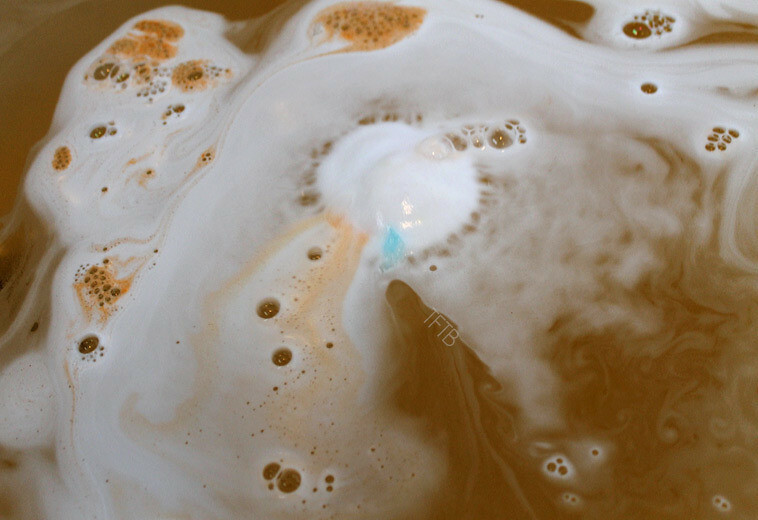 It has become one of our favourite bath bombs of all time and we need to stock up. What are your opinions of Dragon’s Egg? Ahh, I love this one! I totally wasn’t expecting it to be so pretty when I picked it up – just thought it smelled nice then watched in awe when it started fizzing! It smells heavenly! We couldn’t believe how pretty it is either. 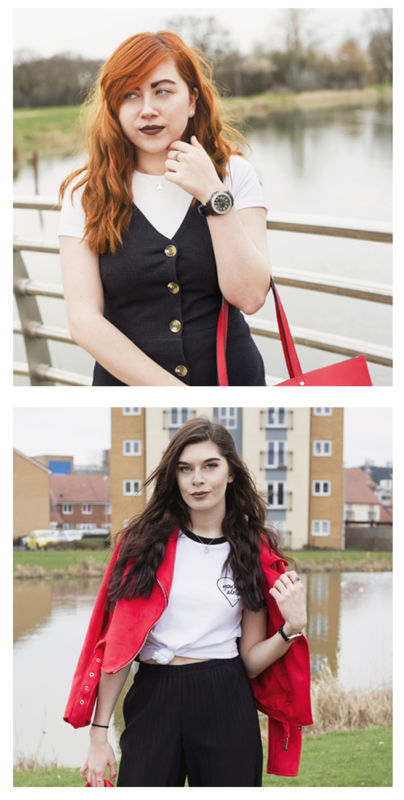 We shall be purchasing more but for now we’re focusing on the Christmas range! 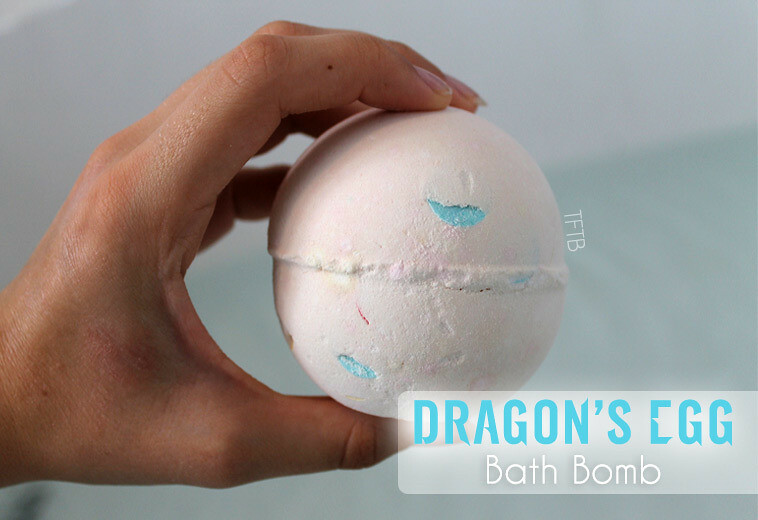 I love Dragons Egg, it looks so pretty and makes you feel SO soft…if not slightly glittery!